The sound of the captain’s voice woke us from our slumber. We'd had a late night and it was nine in the morning. Both restaurants stopped serving breakfast at nine-thirty prompt and did not re-open until mid-day. Must remember to set the alarm in future! Our trip had started out with Saga’s customary door-to-door service. The average age of passengers on our cruise was 77 so this is a great boon to those who can’t or don’t want to drive to and from Dover. Our taxi arrived some forty minutes early. It was a late morning collection and we had packed after breakfast so we were pleased to be on our way. 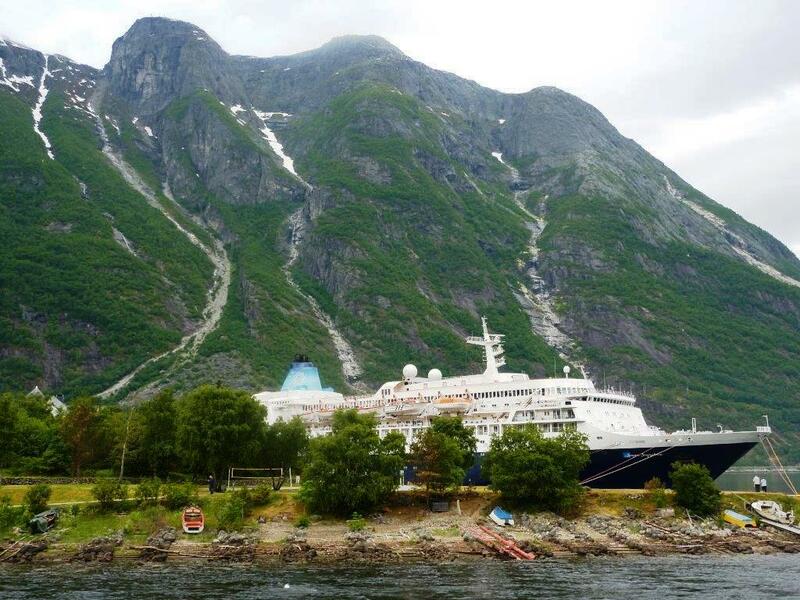 Once at the cruise terminal our luggage was taken care of and we were soon on board. 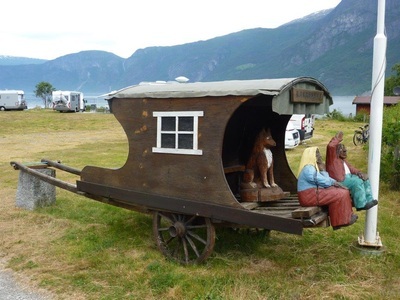 Our cabin was spacious, had a tub and shower and plenty of storage space and toiletries, but was very hot as the air conditioning was not working. It was promptly fixed by one of the ship’s engineers, although despite having it on ‘minimum’ for the entire week, it never really got that cool. Perhaps it was just as well as the duvet appeared to have been made for a smaller bed than our queen-sized double. 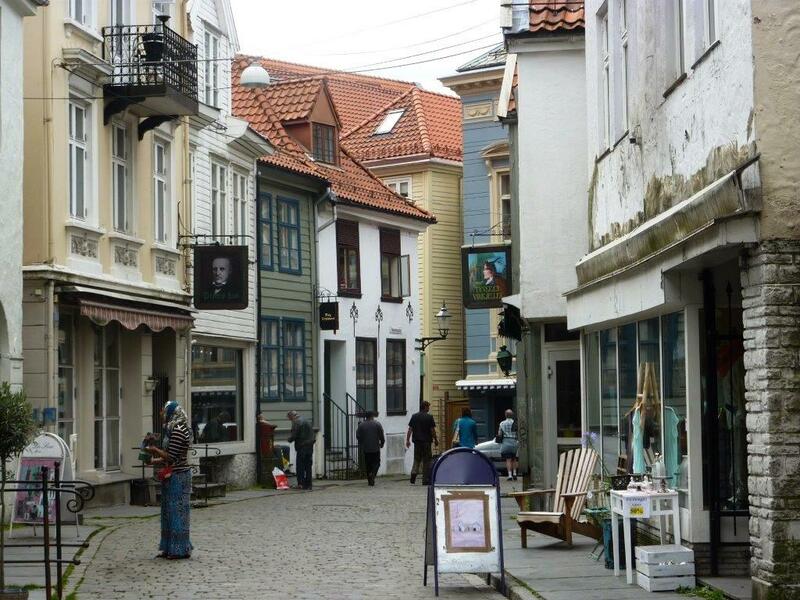 Day two was spent at sea as Sapphire headed almost due north, and on the morning of day three we arrived in Bergen. Dating back to the 11th century, it’s a medium sized town in Norwegian terms but still manageable on foot. 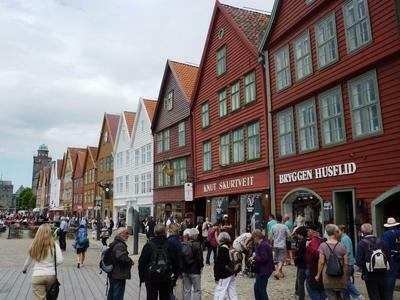 It is noted for its fish market and its UNESCO heritage site, the old Hanseatic Wharf of Bryggen with colourful buildings, narrow passageways and historic structures. That night we sailed up the Hardangerfjord and the real beauty of Norway quickly became apparent. 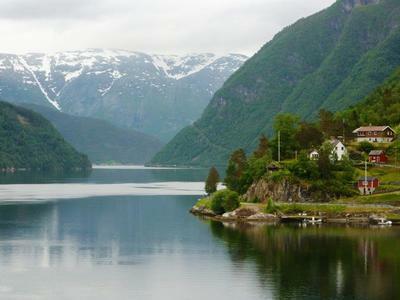 We moored at Ulvik, a small village with just 650 residents. 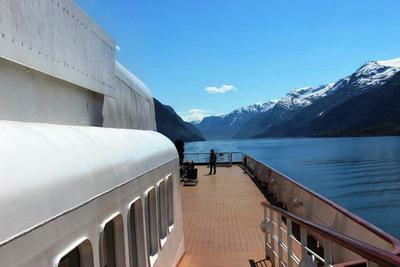 Sitting outdoors at the stern of the ship over breakfast we enjoyed a stunning view of the fjord with snow-capped peaks as a backdrop. 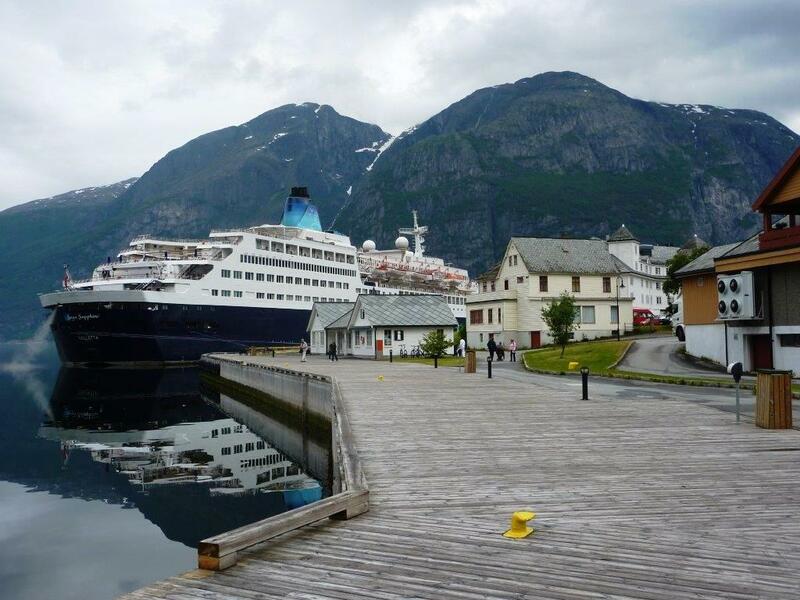 We took the tender ashore and often the ship’s passengers were the only people to be seen on the streets as we wandered around the pretty village with its hotel that provided the landing jetty for our tender. After lunch we went to the church hall, primarily used as a youth club, where the Hot Club of Norway put on a fantastic concert of jazz, mostly music by Django Rheinhardt, which had the capacity audience’s feet tapping and applauding each of the brilliant solos from the four musicians. By now the sun had come out and as it was early June it stayed light until well after eleven, sunset was not until 10:52pm that evening. We sat on deck in hot sunshine whilst Sapphire sailed along the fjord to Eidfjord, a small town popular with the owners of the many motor homes we saw along the way. The beautiful scenery and ample parking places by the water’s edge provide plenty of picture-perfect places to stay. 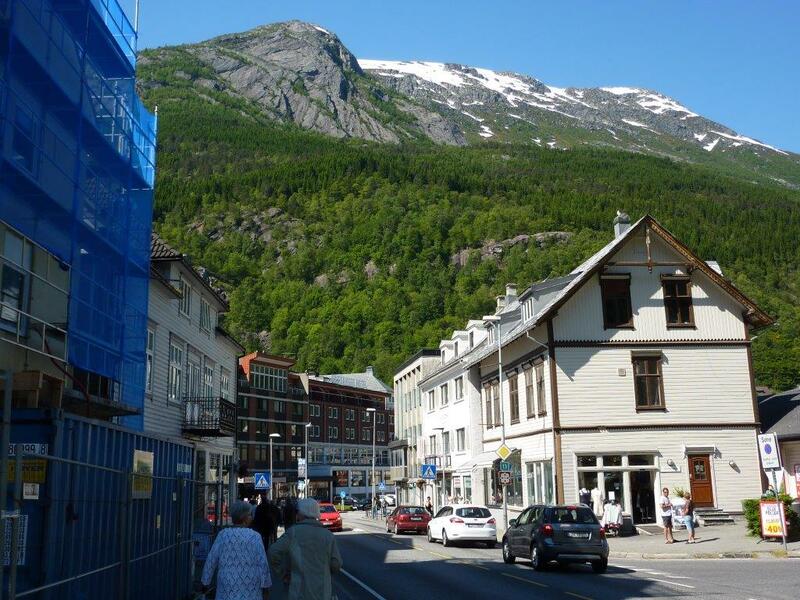 The town is small with a few shops but again everywhere you looked there was a jaw-dropping view. We stayed overnight and the following afternoon we boarded our tour coaches and headed out along the water’s edge to the Hotel Ullensvang in Lofthus. 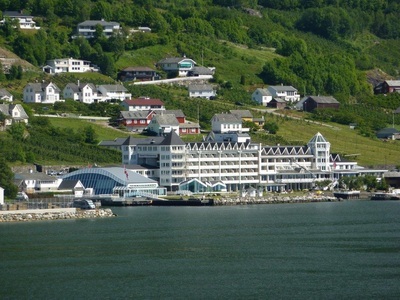 The hotel includes the glass-constructed Hardanger Hall. 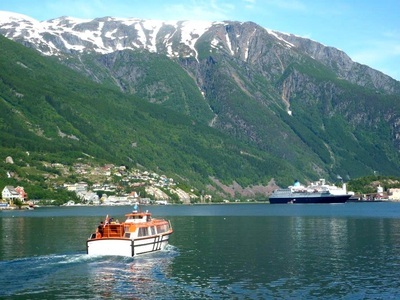 Primarily built for tennis, on this occasion used as a spectacular concert hall overlooking the fjord and the snow-clad peaks in the background. 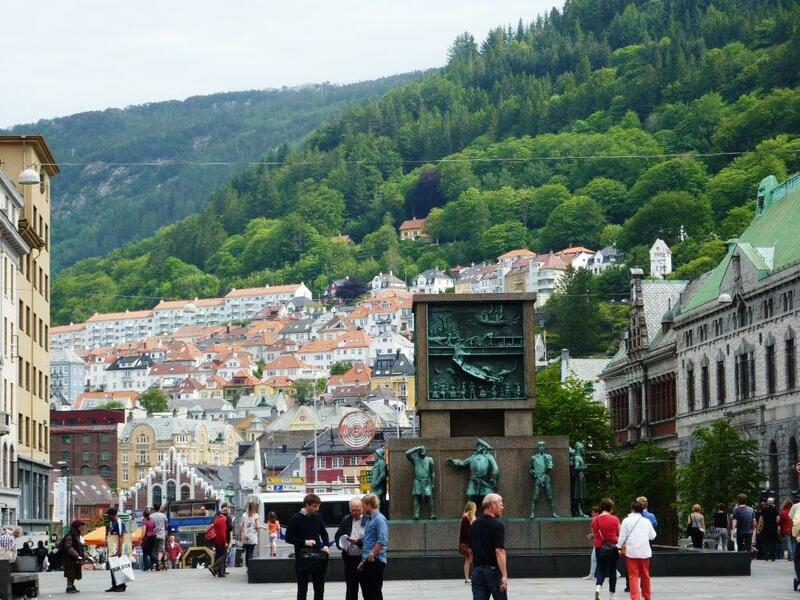 Here the Bergen Philharmonic Orchestra treated us to two symphonies in what can only be described as a dramatic and stunning atmosphere. 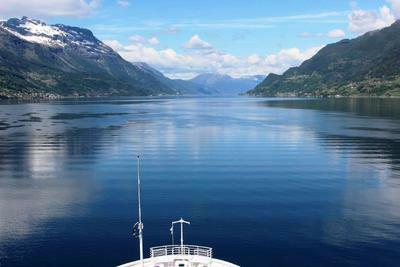 Early the following morning the ship set sail again and later that morning we woke up in Odda. The largest of the three places we visited on the fjord, Odda is another neat, clean town wedged between towering snow-capped peaks and the waters of the fjord. It grew in size and population due to the smelting plant (now abandoned) and the associated water power plant. Now a modern town with a small shopping area it is still easy to walk around and from almost every street visitors are rewarded with the dramatic Norwegian views we had become accustomed to. 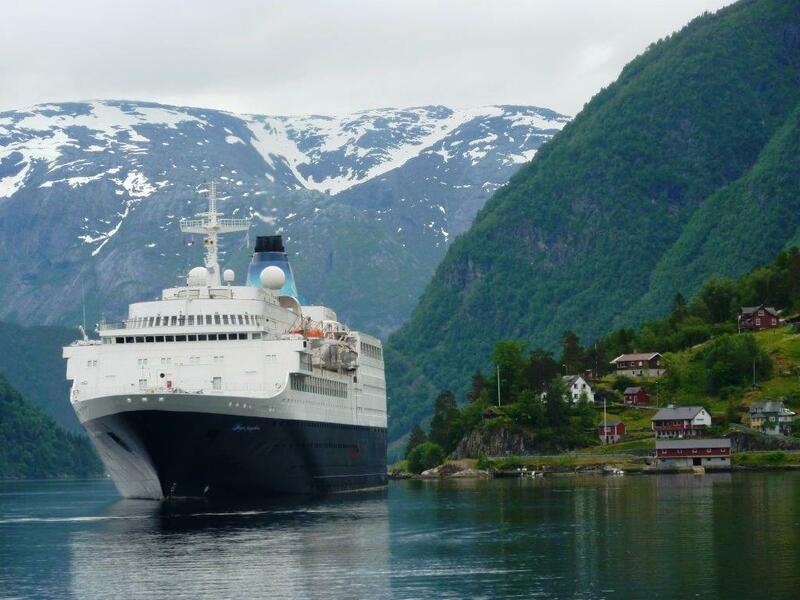 This was our last port of call and just after mid-day we were all aboard to start our journey back to Dover. 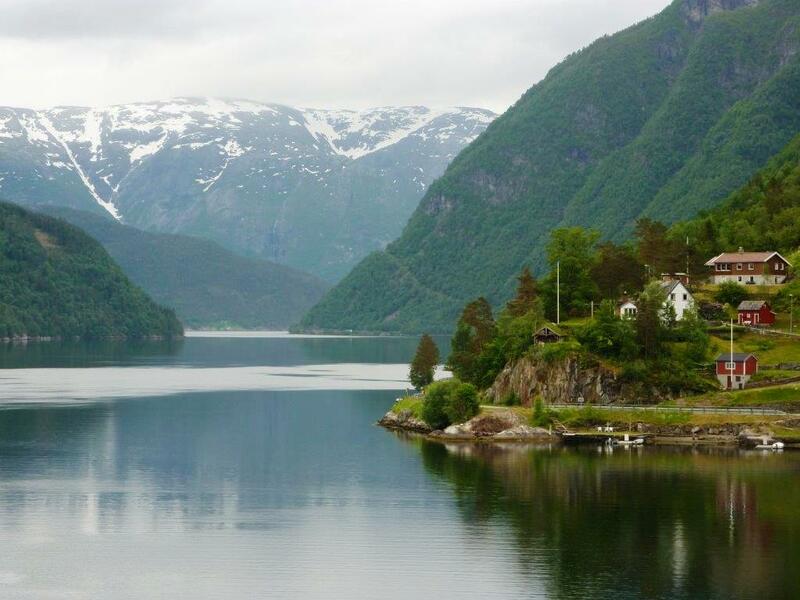 This gave us the opportunity to see the scenery from the water rather than from land as for the rest of the afternoon our ship sailed along the flat calm fjord between steep farmland and towering mountains on either side. We even had a great view of the hotel and concert hall where, the previous evening, we had enjoyed our concert, the hall is the curved building to the left. The north sea was as calm as the Med as we sailed south and we docked a few minutes early in Dover. We were in the second group to disembark and, having quickly found our luggage, one of Saga’s shore staff lost no time in finding us our driver. In less than two hours from leaving the ship we and our luggage were deposited at our front door back in west London. Saga couldn’t have made it easier.